The first two rounds of the draft are going to crucial for the Green Bay Packers, and these three players are my ideal selections. All offseasons in the NFL are important, but for the Green Bay Packers who are trying to make the most out of Aaron Rodgers final years, this offseason is absolutely crucial. 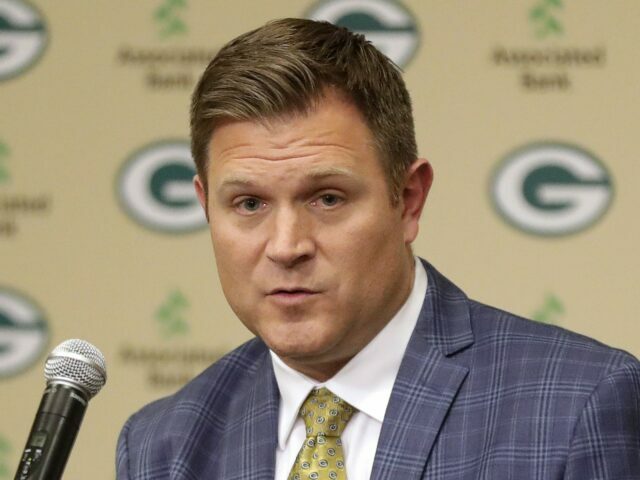 So far General Manager Brian Gutekunst has overhauled the coaching staff and made four big free agent signings. But perhaps even more important for the Green Bay Packers, is taking advantage of the three picks they have inside the top 50. Even though they were active in free agency there are still some big needs to address and Green Bay has a great opportunity to infuse this roster with three more playmakers, that can step in and make an impact on this team from day one. In putting together my list, I took into account what are needs that I feel still should to be addressed, as well as who is likely to be best available at that selection. Now, the picks that I made have no guarantee of being available at that time, but there is a realistic possibility that they will be. You won’t be seeing me select Quinnen Williams at 12 and T.J. Hockenson at 30, they just won’t be available at that point. So without further ado, these are my ideal picks for the Green Bay Packers in rounds one and two of the draft. In my opinion, Ed Oliver is one of the top players in this draft class, but from what we have seen so far, he very well could be available at 12, and if he is, the Green Bay Packers shouldn’t hesitate to call his name. Although they addressed the defensive front in free agency, Green Bay often drafts based on the best player available and that is exactly what Oliver would most likely be. Oliver put up incredibly impressive numbers at the combine, showing off his explosiveness and strength, both of which are evident in his film. He may be slightly undersized but he uses that explosiveness and his hand technique to his advantage and consistently finds his way into the backfield. In his final season at Houston, Oliver would total 54 tackles, 14.5 of which were for a loss and three sacks in just eight games. The advantage of having guys like Kenny Clark and Mike Daniels available is that Oliver wouldn’t necessarily have to play every down right away, although he is very capable of doing so, he instead could be used in second and long or on third downs to get to the quarterback. In today’s modern NFL with the quick passing game, creating pressure up the middle is becoming increasingly more important and having the trio of Oliver, Daniels, and Clark would do just that. We also have to note that this is the final year of Daniels deal in Green Bay, and having Oliver could give them the freedom to let Daniels walk at the end of the season if that makes sense. 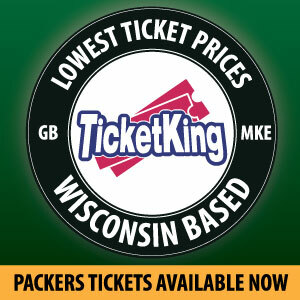 Maybe it is just me, but I am concerned about Green Bay’s offensive line heading into this season. On paper, Bryan Bulaga, Billy Turner, Corey Linsley, Lane Taylor and David Bakhtiari looks pretty good, but I still have questions. Taylor had a down season in 2018, and while we hope he bounces back, we don’t know that he will. Turner still is a bit of an unknown, making just 25 starts in his five year career. And Bulaga is solid when on the field, but at this point I don’t know that we can rely on him to be out there for all 16 games. Perhaps most concerning is that this is the final year of Bulaga’s contract and currently we do not have his replacement on the roster. That is why I think it is necessary to spend a top pick on the offensive line position, preferably at tackle which is a tough position to fill, and that is why Dalton Risner at 30 is on my wish list. Risner has the kind of demeanor that you want in an offensive lineman, he’s tough, gritty, and relentless ala T.J. Lang and Josh Sitton. He doesn’t have too many weaknesses and displays very good technique as a run blocker. In the passing game, he sets a wide base, uses good hand positioning and does a fine job of picking up blitzers. Kansas State's Dalton Risner is the only OT in the 2019 draft class to rank in both the top 5 of @PFF's run-blocking grades (1st) and pass-blocking efficiency (tied for 1st). He is versatile and can play multiple positions on the offensive front, so as a rookie he could play guard or even center in needed but ultimately he would be Bulaga’s replacemen. Even amongst all the changes in Green Bay, this team only goes as far as Aaron Rodgers will take them, so they must keep him upright for the remainder of his time as a Packer. As of now, none of the current tight ends on the Green Bay Packers roster are guaranteed to be under contract in 2020, so it would be wise to spend a top pick on one in this year’s deep class. By taking Oliver at 12, I missed my opportunity to land either T.J. Hockenson or Noah Fant of Iowa as I do not believe that either will be available at pick 30, but Smith at 44 will fit in to Green Bay’s system just fine. Smith will be an ideal fit in Matt LaFleur’s system that utilizes tight ends much more than Mike McCarthy did. Smith was able to show off his running blocking abilities during his time at Alabama in their run-heavy offense but also his big-play potential as a receiver, where he would average 16.1 yards per catch in his final season. Smith is able to stretch the field as well as rack up plenty of YAC once the ball is in his hands. His versatility and ability to lineup just about anywhere on the field will make him an asset in LaFleur’s offense and Smith will be able to come in from day one and take some starter reps away from Jimmy Graham. Adding Smith will give Green Bay a reliable player at the tight end position for the foreseeable future, which is something they have not had in a long time. With these three selections, I feel Green Bay gets three instant impact players as well as addresses some depth concerns on the offensive line and at tight end. Comment below and let me know if you agree or what you would do differently! This entry was posted in NFL Draft, Packers 2018-2019 Season, Paul Bretl and tagged 2019 nfl draft, Dalton Risner, Ed Oliver, Green Bay Packers, Irv Smith Jr.. Bookmark the permalink.